Weston provides timely response to the nation’s largest inland crude oil release in support of our midstream pipeline client. On July 25, 2010 over 800,000 gallons of crude oil was released from a ruptured Enbridge Energy, Limited Partnership (Enbridge) pipeline located in Marshall, MI. This was the largest inland crude oil release that had ever occurred in the United States. The release impacted residential properties, floodplains, wetlands, 2 miles of Talmadge Creek, and 40 miles of the Kalamazoo River. Severe flooding that occurs every 25 years, further exacerbated the spill conditions, allowing the oil to migrate into backwater floodplains and nearby wetlands. 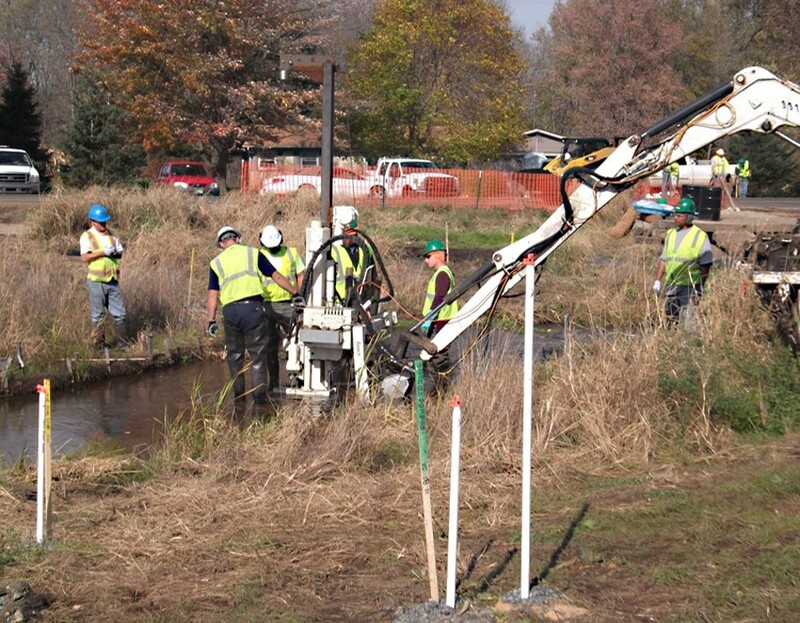 Initial response and cleanup activities were led by multiple government agencies, including the Michigan Department of Environmental Quality – Remediation and Redevelopment Division (MDEQ-RRD). Weston was tasked by MDEQ to conduct oversight and evaluation of the work being completed by Enbridge in the overbank areas. We oversaw the remedial investigation of the overbank areas, such as floodplains and wetlands, and evaluation of technical reports, analytical data, and remedial investigation methods. Weston provided document management of all project-related documents to ensure critical materials were logged and filed for the administrative record. The ultimate objective for the State of Michigan was to ensure that cleanup activities resulted in restoration of the entire spill area and to protect human health and the environment in accordance with all applicable state regulations. In order to ensure a successful working relationship between multiple state and local government agencies and residents, we conducted multiple public and stakeholder meetings, placed advertisements in the local newspapers regarding the public comment period, and prepared and distributed copies of reports to store at local libraries for public review. Even though the project is currently ongoing, significant progress has been made with several segments of the spill area approved by MDEQ for residential land use closures. Pre-existing conditions were found that had occurred prior to the oil spill. Metals were found in overbank areas above Part 201 cleanup criteria that were ultimately determined to be representative of natural background conditions. Weston completed a statistical background metals evaluation to demonstrate that the metals present in the soil were representative of natural or background conditions; the evaluation was then approved by the MDEQ’s Technical Assistance Program Support team. The presence of legacy contamination in the overbank areas from historical sources located upstream of the release area was also found. We worked with an oil forensics expert to develop a method to distinguish between Enbridge oil and other sources of oil. This allowed MDEQ to work with Enbridge in areas of remaining impact to determine which areas required additional action by Enbridge and identify the areas that they were not responsible for. Weston provided the State of Michigan technical assistance to ensure that the cleanup adhered to applicable state laws and the consent judgement. This has helped the MDEQ begin closure of portions of the site with the confidence that Enbridge has properly completed the remedial actions.